This recipe is a great alternative to traditional cheesesteak sandwiches, but just as tasty. Cut your green bell pepper in half and add your thinly sliced cheesesteak to them. Top with your favorite blend of Italian cheeses and a sprinkling of oregano. 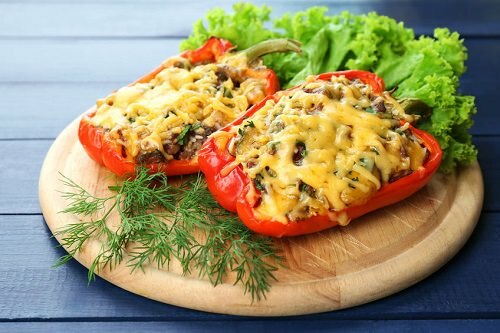 Bake in a 350-degree oven for about 15 minutes or until the cheese is melted and the peppers have softened.